If you've been following my blog for even a short time, you have probably seen and read my confession about my addiction to llamas and alpacas. Well, it's time to fess up.....that is not my only addiction. I have to come clean. I have at least one more addiction. Ok, maybe more than one, but I'm only admitting to one today. I am addicted to everything 'Christmas'. 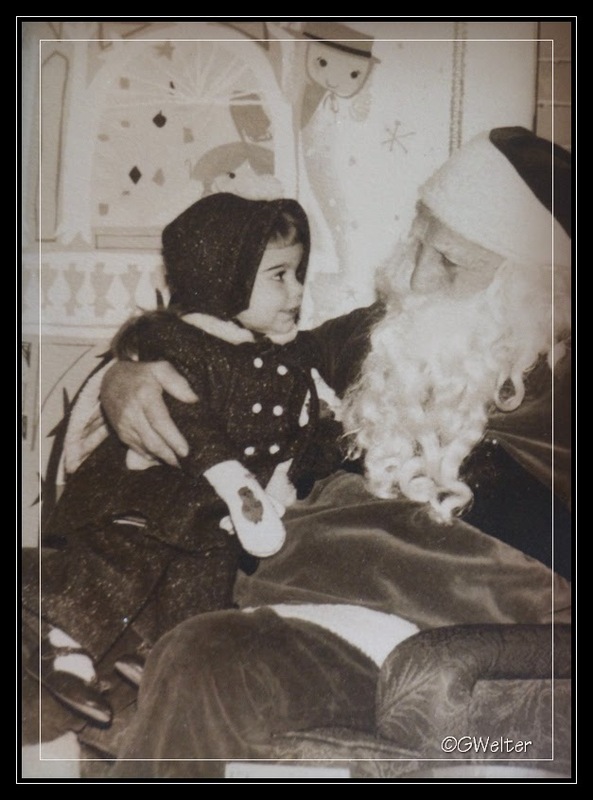 I believe this started a long, long time ago...as evidenced by the look of fascination in my eyes when I met Santa way back when. Unlike some kids, it appears I had no fear of the big guy at all! I look pretty mesmorized by the man in red. 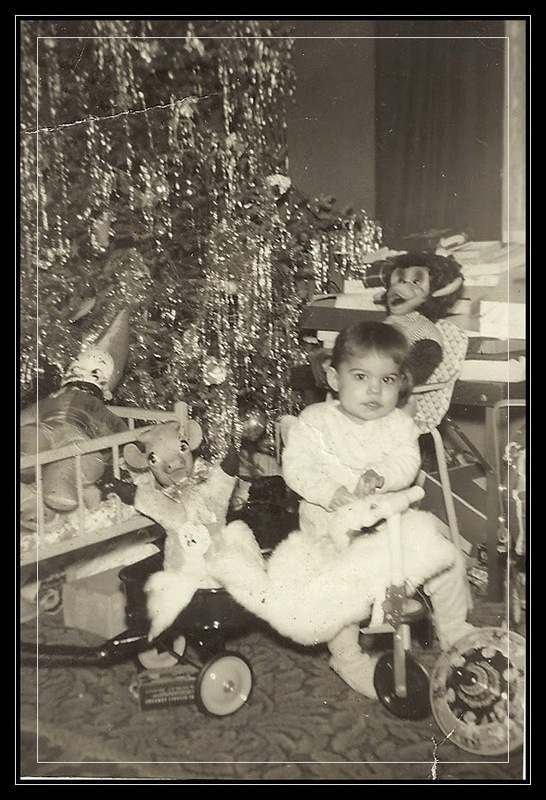 As an only child and only grandchild you can imagine Christmas was a pretty heavenly time for me. I have some fond memories of those times, especially one Christmas when Santa brought me a bubble-blowing Dumbo machine. That same Christmas I received a Penny Play Pal doll that was almost as tall as me! That was the Christmas that directly followed my tonsillectomy. I'm pretty sure Penny was somewhat of a consolation gift for surrendering my tonsils. Penny, me and my beagle, Duke! In my house Santa always came in the morning while my Dad and I were at 6:00 a.m. mass. I'm sure you can all figure out the logic behind that. Mom would go to midnight mass so she could be home for Santa in the morning. As a good Catholic girl I'd attend mass at an ungodly hour and come home to find our tree the center of a mound of little girl delights. Those were the days!! Christmas was always a big deal in our home, a time for entertaining friends and family, a beautiful display of Christmas finery and and music playing on the stereo. The Ray Conniff Singers, Johnny Mathis and Perry Como filled our home with the sounds of the season. Christmas was a wonderful time growing up. It is no wonder that I have continued these traditions in my own home. From our first Christmas as husband and wife, John became aware of my 'love' of this season. It took us several years to figure out that evergreens look much smaller in a field or parking lot than they look in one's apartment living room. Eventually when live trees rose in price to $45 and $50 in the 1980's, we decided it was more cost effective to invest in an artificial tree. Not only did that save money in the long run, it enabled earlier decorating, lessened the fear of fire and alleviated the trail of pine needles through the living room on New Year's Day. Later when we purchased our first home, our space grew as did our decorations and soon we had not one tree, but 3. I'll admit, that was a bit excessive. Christmas ornaments have always been a weakness for me. For a period of time I was a professional crafter. 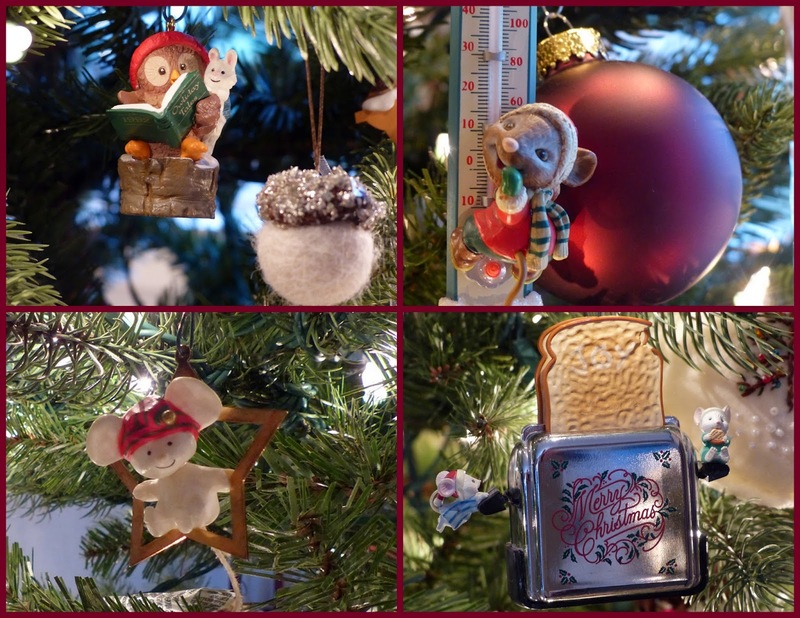 That added a number of homemade ornaments to our collection. In fact, each year for the past 19 yrs. I've made a homemade ornament for each of our neighbors. As you probably know, when you are an addict of any kind, there is no such thing as enough. There is always something new that catches your eye, something that you must have. Right? Well, after 36 years of this addiction, I'm finally about to admit that maybe I have enough. There, I said it!!!! I'm pretty confident John came to that conclusion several Christmases ago, but being the nice guy that he is, he keeps that kind of thing to himself. Christmas in the Welter household begins the day after Thanksgiving - except for this year when for the first time it began the day before Thanksgiving. Thanks to my little addiction, in order to accommodate my collections, the house needs to first be "stripped" of all of its everyday finery. Once it appears we've been robbed blind, it's time to begin the process of transforming our little home into Christmas Central. At this time, John begins carrying a number of huge plastic bins down from the attic (about 10), plus various boxes and other items. 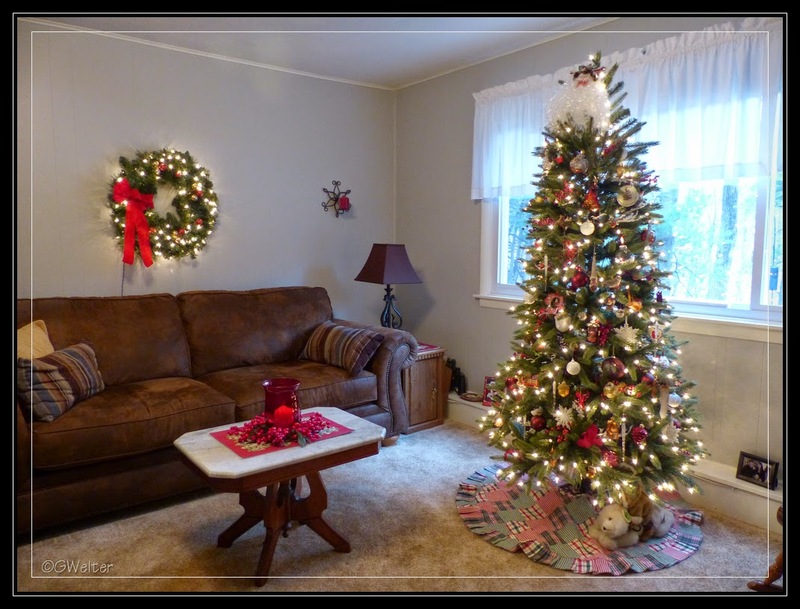 Then he carries "2" fully assembled 6 ft. trees down stairs and places one in the living room and one in the family room. Then for the next 3 days we work tirelessly putting every ornament and Santa in place until two things happen.......1) everything has a home and 2) we are dead from exhaustion. It is usually at this time that I sit back, admire our hard work and thank God I survived another decorating marathon and have succeeded in finding the perfect home for all of our "stuff". This year I may have come to the conclusion that my addiction might possibly have exceeded my available space and has for sure exceeded my energy supply. And that brings me to a dilemma.....like all addicts it's hard to give up the things that give us that 'high'. And just like the textbook addict I am, I have many good excuses why I can't give up any of my precious things. After all, they all have sentimental value. The year of our first daughter's first Christmas, the neighbor girls bought her two Hallmark white mice ornaments. White mice were a popular theme back then, with Hallmark and Enesco. 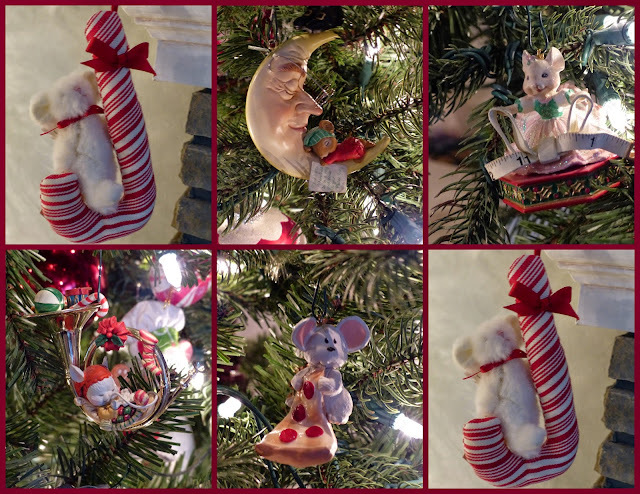 And thus began my collection of white mice ornaments which now totals about 30 (or more). In recent years, my family room tree became our "wildlife" tree. That tree is home to birds, squirrels, bunnies, bears and a large collection of acorns. The acorns came from a running joke we have with the neighbors who, like us, spend many hours collecting bushels of acorns left by the giant oak trees in our neighborhood. As a joke, we began giving each other acorn ornaments at Christmas. 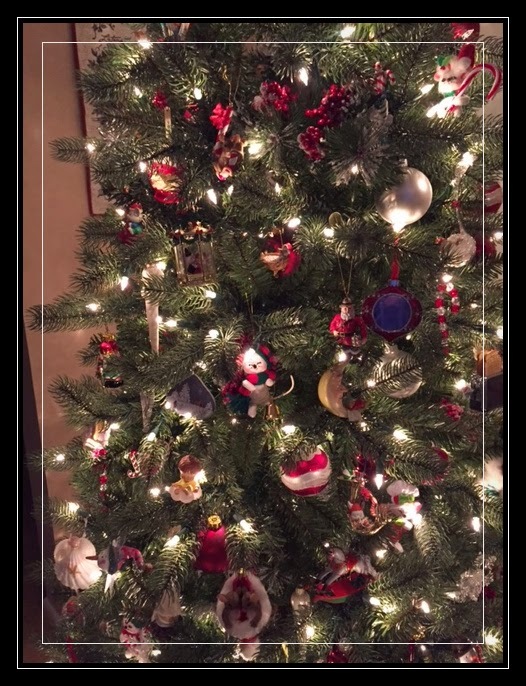 As a nature lover, this tree has taken over as my 'favorite tree' while the living room tree is home to our collection of handmade, and gifted ornaments over the years. Between the two trees I'm guessing we have well over 300 ornaments - each of which is painstakingly placed (yeah, my mom might tell you I'm a bit OCD too) on each tree. 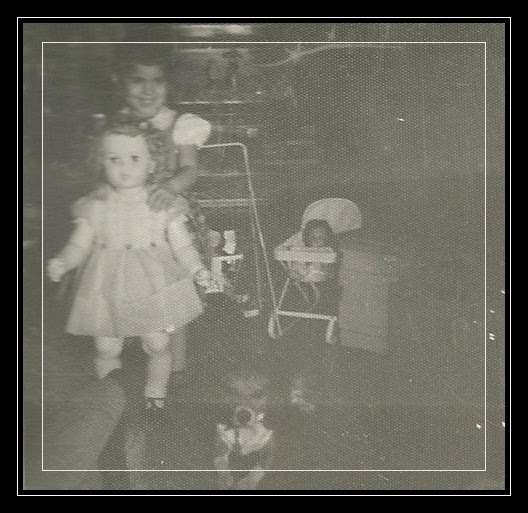 The little mouse in the bottom left corner is one of the mice that began the whole mouse mania! He might be 34 years old, but he still looks pretty good! 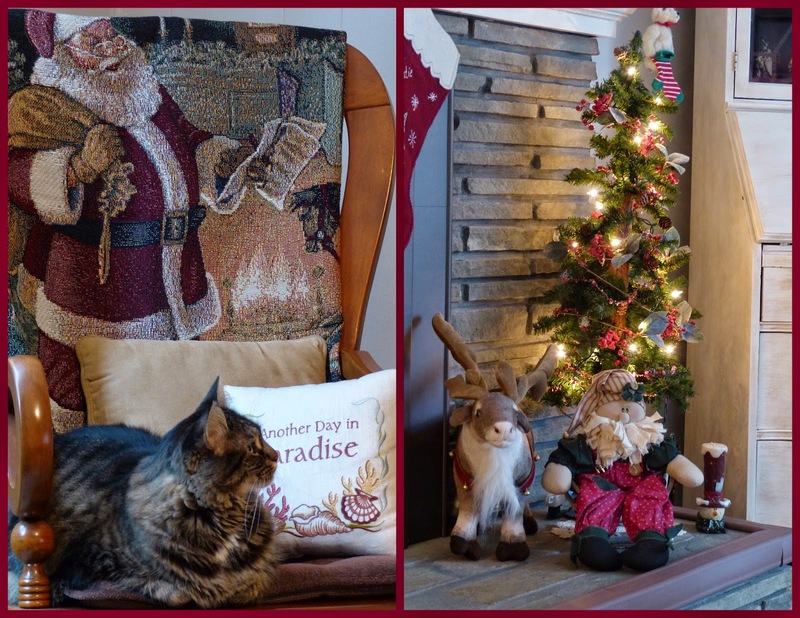 My home is nothing fancy, nor are my decorations rich or pricey, but what they are consists of memories and reminders of Christmases that span 36 years of family, love and holiday spirit. While I joke and complain each year as I muddle through bin after bin, in the end I sit back and smile and imagine the look on my granddaughter's face when she walks in the door. As I hang each ornament I am reminded of the person who gave it, or the year it came to be part of our collection. Christmas is about many things.......but when all is said and done, it is not really about things. We often lose sight of that as we race around finding the perfect gifts, but Christmas is about things that can't be bought - love and family, memories and friends. It's about a baby in a manger whose birth is the reason we celebrate. 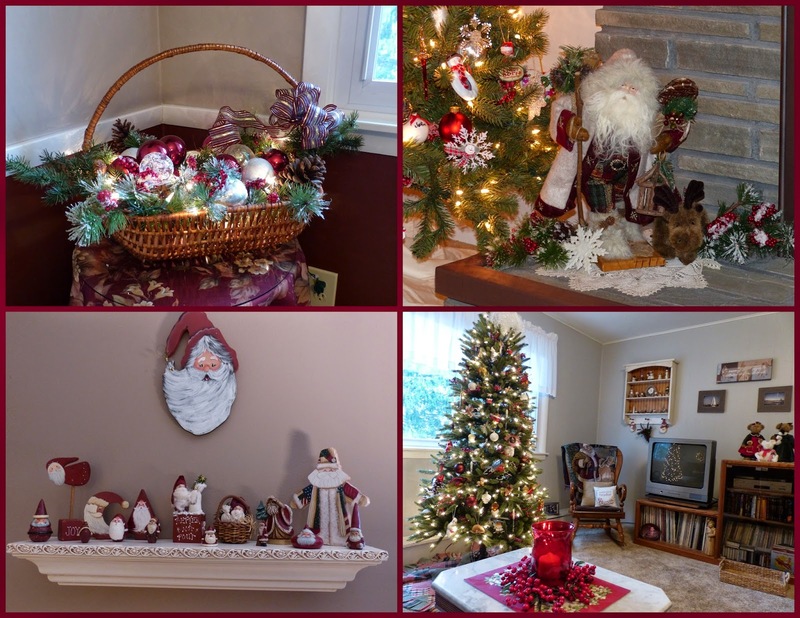 Yes, I may have an addiction to Christmas and all it represents - but kidding aside, for me Christmas represents a house and heartful of memories and I wouldn't give up those so I can't give up any of these. 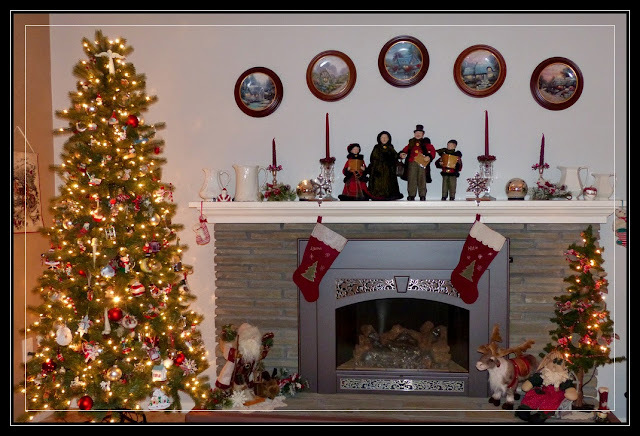 So as you decorate your home this season, enjoy yourself - take time to ponder Christmases past and remember to pause a moment or two and savor the season and the people in your life who make the holidays special. Wishing you peace, patience and calm as you navigate these next few weeks - from our house to yours!